TOKYO (CNS) — Cardinal-designate Thomas Aquinas Manyo Maeda of Osaka was more surprised than anyone at the news he is to become a cardinal, reported ucanews.com. “People have been emailing and calling one after the other to say they had seen the announcement,” the cardinal-designate told ucanews.com after Pope Francis announced his list of new cardinals in Rome May 20. As a native of Nagasaki, Cardinal-designate Maeda was widely involved in the peace movement in Hiroshima, where he served as bishop for three years. He also worked for the beatification of “hidden Christians” who had been exiled to Tsuwano, part of Hiroshima Diocese. In the final outbreak of anti-Christian persecution in Japan 150 years ago, some 3,400 Christians from Nagasaki were exiled to various places throughout the country, and more than 600 died. Ucanews.com said Cardinal-designate Maeda can be called a legitimate successor to the apostles who were fishermen. When he was a parish priest, he frequently went fishing in his own boat and carried the sort of colorful flag that Japanese fishermen raise when they net a large catch. The cardinal-designate is vice president of the Catholic Bishops’ Conference of Japan. He was born in Tsuwasaki March 3, 1949, and was ordained a priest for Nagasaki Archdiocese in 1975. After serving as secretary-general of the bishops’ conference, 2006-2011, he was ordained bishop of Hiroshima Diocese in September 2011. 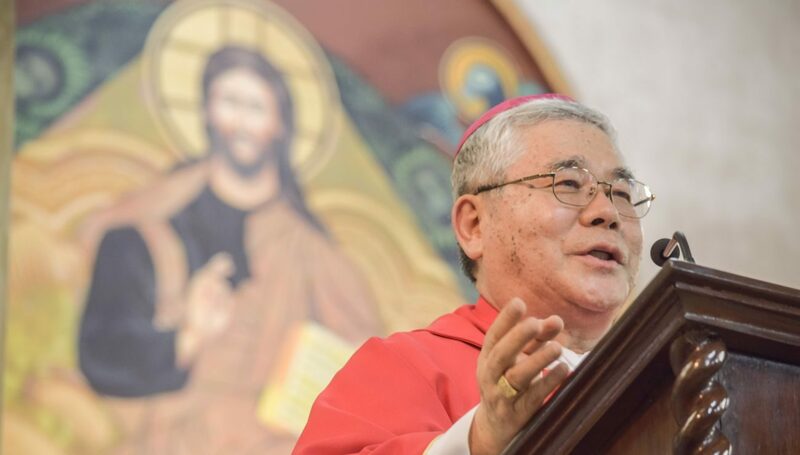 In August 2014, he was transferred to Osaka as archbishop. For many years, he has been involved with people with disabilities, and he has served on the bishops’ conference committees for education and ecumenism. Ucanews.com reported the cardinal-designate is also a master of the short Japanese poetic form called haiku, and his poems often appear in his sermons and articles.